How Far is GEV Veda? With the unique combination of lively surrounding and quality construction standards, we bring you the finest address of living. 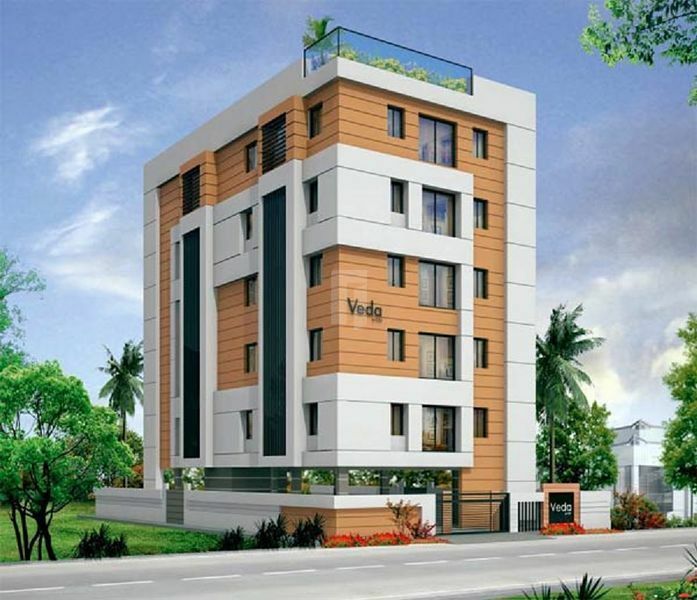 GEV’s VEDA is a blend of peace and serene located in the city of VIZAG at Seethammadhara. With all the required facilities, VEDA is designed meticulously for a comfortable living. 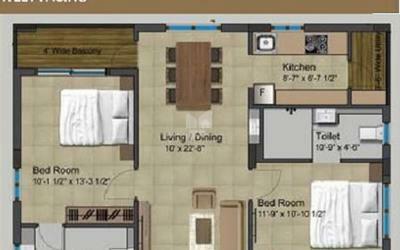 Matching the modern trends in housing, we offer you pleasant residences of 2 BHK and 3 BHK. RCC framed structure designed to withstand wind and seismic loads as per Zone III. 8” thick AAC blocks for external walls and 4” thick AAC blocks/red brick for internal walls. Exterior: One coat primer and two coats of weather proof emulsion paint of ASIAN or equivalent brand along with texture as per elevation. Interior: One coat primer and two coats of good quality emulsion paint over wall care putty surface of ASIAN or equivalent brands. Main door: Teak wood frame with aesthetically designed flush door shutter with designer hardware of reputed make. Internal doors: Teak wood door frame with Veneer finished flush doors with good quality hardware of reputed make. UPVC windows or Anodised Aluminium windows with glass. Drawing, Living & Dining: 2 x 2 Vitrified tiles of JOHNSON or equivalent. Bedrooms & Kitchen: 2 x 2 Vitrified tiles of JOHNSON or equivalent. Kitchen: Tiles dado up to 2' above the kitchen platform. Toilets: Designer glazed/matt tiles dado up to 7' height. Utility: Glazed/matt tiles dado up to 3' height. Granite counter-top platform with stainless steel sink. Provision for exhaust fan and water purifier. Wall mounted EWCs and wash basins of HINDWARE/JAGUAR or equivalent brands. Hot & Cold mixer with shower of HINDWARE/JAGUAR or equivalent brands. Good quality bathrooms fittings of HINDWARE/JAGUAR or equivalent brands. Plumbing lines for hot and cold water with CPVC pipes of a reputed brands. Fire resistant concealed copper wiring of FINOLEX or equivalent. Modular switches of SCHIENDLER/LEGRAND or equivalent. Power outlets for air conditioners in all bedrooms and living rooms. Power outlets for refrigerator, microwave, and mixers in kitchen. Telephone: Provision will be provided for master bedroom, and living room. TV: Provision will be for master bedroom and living room. Internet: Provision for high-speed internet cable. DG back-up for lights, fans and 100% of common areas. 8 passenger lift of JOHNSON or equivalent brand. GEV Properties seeks land or/and partners to jointly develop residential, commercial or Retail projects in Hyderabad and Vishakapatam. Clear titled, non-tenanted properties will be considered. We will also consider land/properties available on lease for development. We may even consider incomplete / abandoned projects subject to scrutiny.